Of Ft. Worth, TX and Kaneohe, Hawaii. 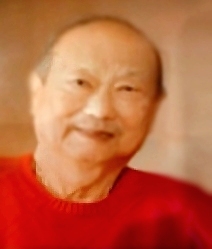 Dexter Yuen Choy Chang, passed away at age 77, on February 19, 2019 in Bedford, Texas. Dexter's Celebration of life will be held on Friday, March 29, 2019, from 1:00 pm to 3:00 pm at Dido United Methodist Church, 5570 Dido Hicks Road, Ft. Worth, TX, 76179. His cremated remains will be returned to Hawaii at a later date. Dexter was born on Oct. 2, 1941 in Honolulu, Hawaii, He was the only son of Edward K.B. and Dorothy L.Y. Chang. He was the Loving Husband of his wife, Sharon L. Perreira Cabana, for 38 years. Dexter graduated from Roosevelt High School, class of 1959, in Honolulu, Hawaii, and was employed by, GTE/Verizon for 33 years and retired in 2001. He enjoyed many years of playing tennis and as a Tennis instructor for Kailua Parks and Recreation. He also loved Hunting, Fishing and Traveling through 50 states in the USA, Canada, Cuba, Mexico, and several countries in Asia and Europe. Survivors: His beloved wife Sharon. Children; Wendell K.B. Chang, Lisa C. Knutson (Kimo), Step- children, Travis G.K. Cabana (Jackie), and Shawna-Lynn U. Smith, and Hanai son; Dana Mokiau. Grandchildren; Jenny & Wayne Chang, Cody, Ryan, & Kyle Knutson, Lani, Kalei, and Kea Cabana, Shavon, Maggie and JP Smith. Sister; Dyanne Chang of Westport, CT., Numerous nieces and nephews. Preceded in death by his parents, Edward K.B. and Dorothy L.Y. Chang. His memory will live on forever in our hearts!